Everything you need to ace science in one big fat notebook: the complete middle school study guide borrowed from the smartest kid in class ; double-checked by Michael Geisen. “You can count on Rick Steves to tell you what you really need to know when traveling in Great Britain. With this guide, you will explore the misty isle of Great Britain, from lively London to the lush green fields of Wales and the craggy beauty of the Scottish Highlands. Wander the sheep-dotted hillsides of the Lake District, and stroll the promenade at the kitschy beach resort of Blackpool. On Edinburgh Royal Mile, ask a proud Scot about the local whisky. Trace Britain history from prehistoric Stonehenge to Roman Bath, and from stout Welsh castles to Shakespeare Stratford-upon-Avon. After a busy day of sightseeing, relax at a neighborhood pub, sharing a chat and a pint with a friendly local. Rick candid, humorous advice will guide you to good-value hotels, B & Bs, and restaurants in big cities and small villages. You will learn how to travel by train, bus, or car and discover which sights are worth your time and money. More than just reviews and directions, a Rick Steves guidebook is a tour guide in your pocket”, –Amazon.com. Can you survive the zombie apocalypse? : Zombie Apocalypse series — 1 by Max Brallier. Dragon marked: Supernatural Prison series — 1 by Jaymin Eve. “As a wolf shifter with razor-sharp senses, Jessa Lebron can perceive the slightest change in the air. And her lupine instincts go into overdrive right before her mother, who abandoned her years ago, returns to the pack bearing secrets that change everything. 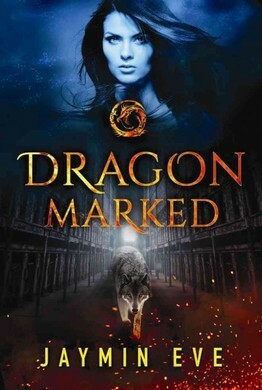 The biggest secret of all: Jess is dragon marked, a designation that places her in grave danger. The dragon marked are destined to resurrect the dragon king, a fearsome ancient warmonger. And they must be eliminated” — back of book. The wom­an in ­cab­in 10 by Ruth Ware. Be­com­ing al­pha: Al­pha Gir­l series — 1 by Aileen Erin. And the trees crep­t in by Dawn Kurtagich. Cold burn of ­mag­ic: Black­ Blade series — 1 by Jennifer Estep. 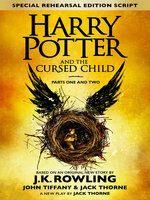 “Based on an original new story by J.K. Rowling, John Tiffany and Jack Thorne, a new play by Jack Thorne, Harry Potter and the Cursed Child is the eighth story in the Harry Potter series and the first official Harry Potter story to be presented on stage. The play will receive its world premiere in London’s West End on 30th July 2016. 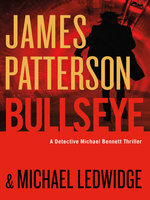 All of the new selections can be found on the “New Book” shelves located in the different areas of the library. Be sure to let us know if you have any questions or suggestions.